LINE: Texans -3. O/U: 48.5 courtesy of . TV Schedule: NBC | PARTLY CLOUDY, SOUTH WIND 5-10. GAME TEMP 82, RH 71% HEAT INDEX 87 (NRG STADIUM ROOF MAY CLOSE IN HOT WEATHER), and Get unlimited 100% bonuses up to $250 on any BITCOINS deposits! 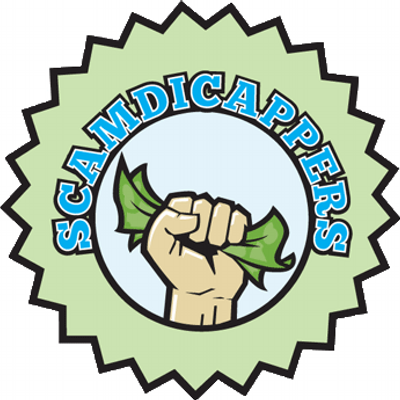 Redeem these offers in your Available Bonuses and also get access to Premium Picks at scamdicappers.com. NFL WEEK 6 BETTING – Sunday, October 16th, Indianapolis Colts vs. Houston Texans. Indianapolis was unable to contain Lamar Miller on Sunday and the result was a 26-23 Week 6 loss against the Texans. The game was a push (tie) for betting purposes as the final score was identical to the -3.0 number at most sportsbooks. The game proved to be a winner for OVER bettors based on the closing total of 48.0. Lamar Miller rushed for 149 yards, while Alfred Blue added 13 yards in the win. C.J. 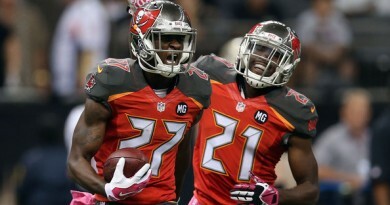 Fiedorowicz and DeAndre Hopkins added 85 and 71 receiving yards respectively. Frank Gore rushed for 106 yards for Indianapolis, while Andrew Luck added 53 yards. Andrew Luck threw for 252 yards for the Colts, while receivers Chester Rogers and Jack Doyle had 63 and 53 yards respectively. Houston outgained Indianapolis 414-392 yards in the game, while the battle of first downs was won 26-19 by the Texans. Houston lost the time of possession battle 36:33-30:17, leaving their defense on the field more than they wanted. Houston heads into a Week 7 battle against the Broncos. Indianapolis, meanwhile, will have their next action against Tennessee. HOUSTON — Through another extended offensive slog and the chorus of boos that accompanied every failure, the Houston Texans endured, to a man and as a unified collective. Texans kicker Nick Novak, who earlier missed an extra point, nailed a 33-yard field goal with 8:10 remaining in overtime to cap Houston’s 26-23 comeback victory over the Indianapolis Colts on Sunday night at NRG Stadium. Houston quarterback Brock Osweiler completed a 36-yard pass down the far sideline to receiver Jaelen Strong to the Colts 12-yard line to set the table for Novak. Osweiler struggled for long stretches but finished with 269 passing yards and two touchdowns, rebounding in time to help the Texans post the final 17 points. The Texans (4-2) improved to 4-0 at home by rallying from a 14-point deficit in the fourth quarter. For most of the game, Colts quarterback Andrew Luck, who passed for 252 yards and a touchdown and ran for another score, outplayed his counterpart. His 14-yard touchdown dash on the first play of the fourth quarter gave the Colts (2-4) what looked to be an insurmountable 11-point lead given the performance of Osweiler. However, after Indianapolis kicker Adam Vinatieri drilled a 36-yard field goal with 7:04 remaining, his third of the night, Osweiler rallied Houston in improbable fashion. Osweiler paced a 12-play, 75-yard drive capped by his 10-yard scoring pass to running back Lamar Miller, whose dazzling second effort cut the deficit to 23-16 with 2:37 left. After the Texans forced a Colts punt and regained possession with 1:50 to play, Osweiler needed just three plays to cover 53 yards, throwing a dart to tight end C.J. Fiedorowicz that yielded a 26-yard touchdown and a tie game with 49 seconds left. Miller finished with 149 yards rushing and a touchdown on 24 attempts. He was the focal point for the Texans offensively, carrying the load as they stumbled early. Late in the third, Osweiler threw behind receiver DeAndre Hopkins deep in Houston territory, a pass that was picked off by Colts cornerback Vontae Davis at the Texans 21. Two plays later, Luck dashed through a gaping hole on the left side for a score that extended the Colts’ lead to 20-9 with 14:53 remaining in the contest. Houston mustered just 5 total yards on 10 plays in an unsightly first quarter. By the time the Texans mounted a sustained drive late in the first half, one that concluded with a 27-yard Novak field goal with 1:57 left, the Colts led 13-0. Despite their issues protecting Luck, the Colts managed to reach the intermission without surrendering a sack. Luck, in turn, engineered three methodical scoring drives, sandwiching Vinatieri field goals around a 22-yard scoring pass to tight end Jack Doyle that gave Indianapolis a 10-0 lead on the first play of the second quarter. But the Texans sacked Luck three times after the break and limited the Colts to 26 yards after falling behind 23-9. That was enough to help get their offense untracked.